Dishes are not romantic. And cooking for an afternoon, at least for me, is not particularly romantic either. But pretending that cheese and bread is a meal? If your partner is on board with this, you know it’s love. 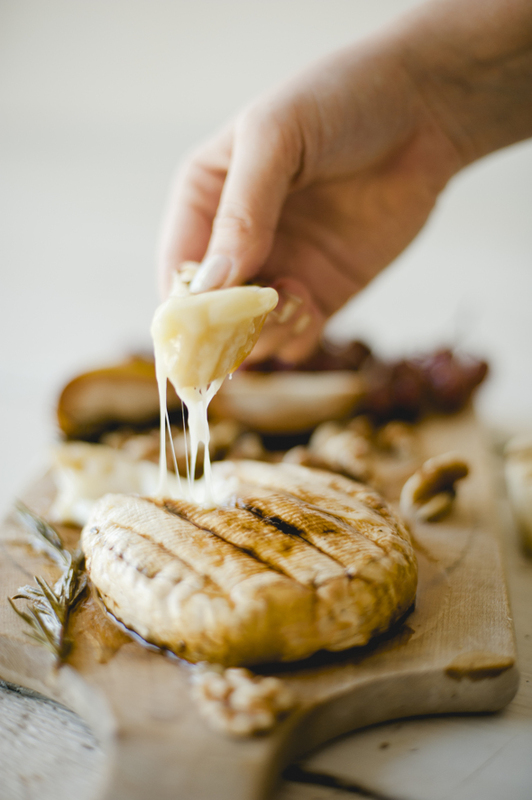 I love cheese as a main course, and baked brie is so wonderfully decadent, such a perfect on-the-couch indulgence. Served with roasted fruit, walnuts, and grilled baguette, this is best enjoyed with an entire bottle of pinot noir, and not much else to do on your schedule. 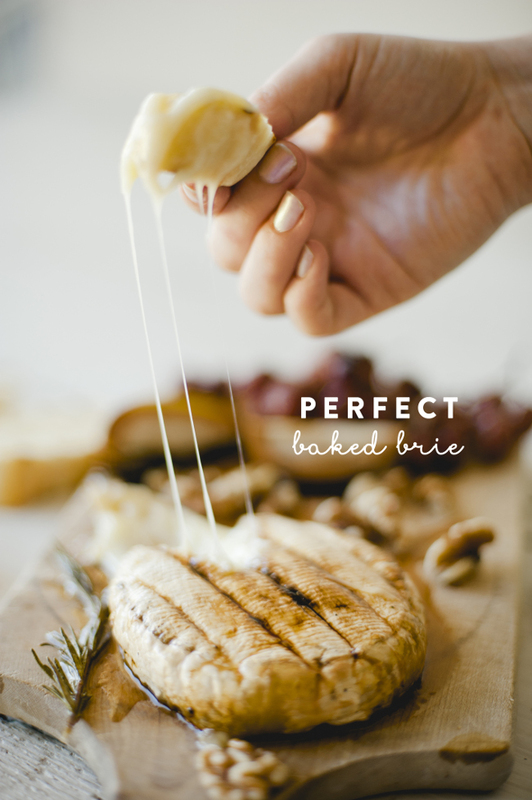 Set Brie on an oven-safe dish, such as a small cast iron skillet. 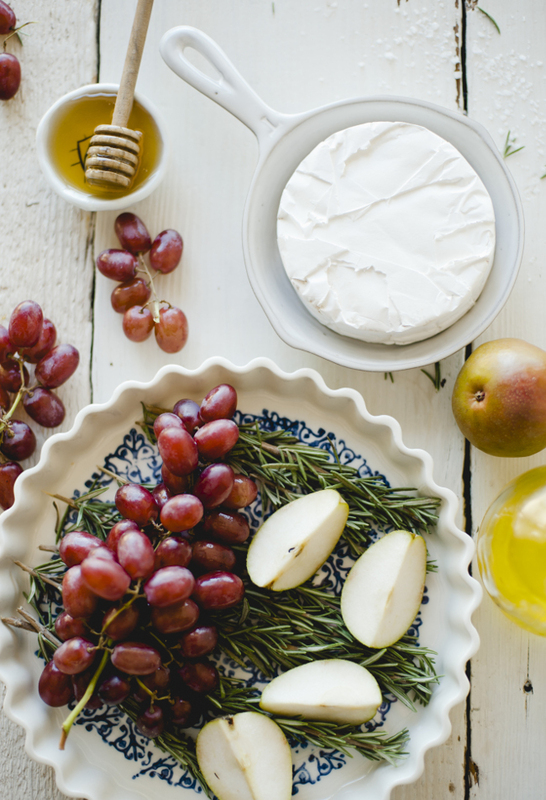 Brush the top of the brie with honey. In a separate baking dish, place the grapes and pears on top of the rosemary, season with salt and pepper, and drizzle with honey. Broil in oven, on the lower rack, for 10 to 12 minutes until the brie is slightly browned and the grapes are caramelized. If the grapes need to get browner, broil for one minute after removing the brie. 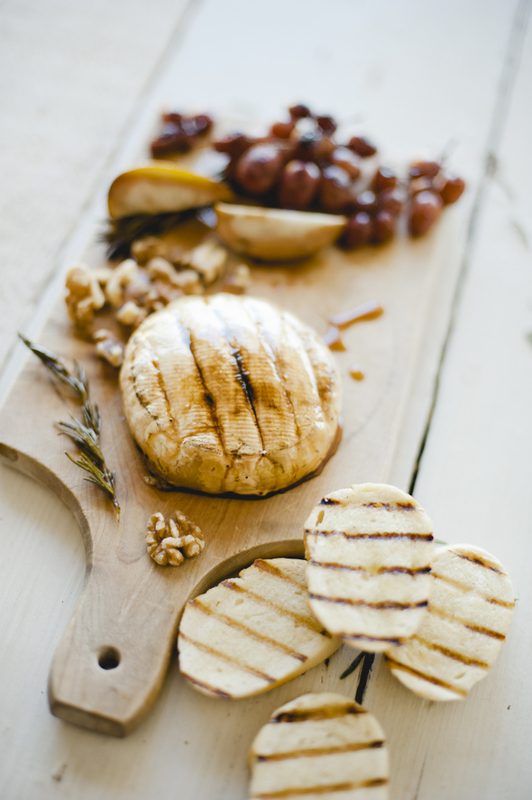 Pour the grapes over the brie, garnish with walnuts, and finish with a drizzle of honey. Serve with sliced baguette.